Any boy or girl who has received First Communion is welcome to serve at Mass. Training sessions are held as needed. An Altar Server schedule is printed once a month and Mass assignments are made with the server’s family’s preference. 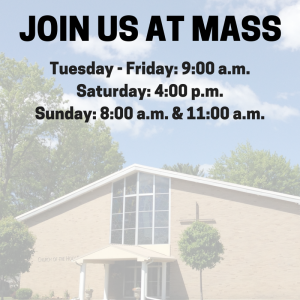 The Altar Server schedule can be found on the Schedule Page of this web site. The schedule will need to be downloaded. To find out more about becoming an altar server, please contact Patrick Carey at 972-7121 or via email at p.j.carey@lmco.com.